Margaret serves as Assistant Superintendent for Democracy Prep Public Schools, supervising and supporting principals and executive directors across the country. During the Fellowship, she served as Assistant Regional Superintendent. 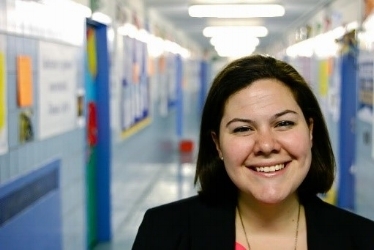 Prior to this role, Margaret was the founding principal and executive director of Democracy Prep Endurance Charter School in New York City, where scholars have outperformed the district on each iteration of the New York State Mathematics and ELA exams—with double the levels of proficiency in ELA and nearly quadruple the level of proficiency of the district in mathematics. Margaret received training with Building Excellent Schools as an Emerging Leader and continues to support their professional development efforts with new leaders. Margaret holds a B.S.F.S. from Georgetown University, an M.S.T. in Secondary Mathematics from Pace University, and an M.Ed. in School Leadership from Teacher’s College at Columbia University.